Now available for CZ pistols. 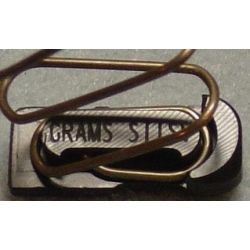 The Grams follower/spring kit is the best spring/follower combination available in my opinion. Completely and totally reliable. 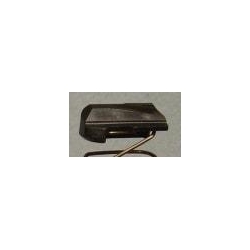 FKC-11 is for CZ small frame factory 9mm mags (75/SP01/Shadow) that measure up to 145mm long. 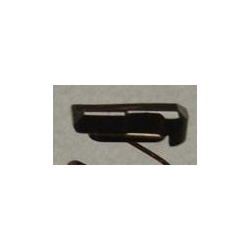 FKC-13 is for CZ small frame factory 9mm mags (75/SP01/Shadow) that measure up to 171mm long. FKCL-11 is for CZ large frame 9mm or .40 cal magazines (Tactical Sport/Checkmate) that measure up to 145mm long. FKCMG-11 is for CZ small frame 9mm mags (75/SP01/Shadow) manufactured by Mec-Gar (marked CZ-75-9mm, 17 round) that measure up to 145mm long. Mec-Gar magazines are slightly shorter front-to-back than the factory CZ magazine. These kits also work with Canik magazines. FKS-11, FKS-13, and FKS9-13 kits work in both STI, SV, SPS, and CR tubes. Many shooters report getting one additional round in their mags, as I did in my 140mm and 170mm 9mm open tubes. Newly redesigned follower attaches to the spring in a manner that provides better bullet nose attitude, and prevents the annoying habit some followers have of coming off the spring when the mag is disassembled for cleaning. This new follower design allows for more consistent lockback of the slide, or if the slide lockback is disabled there is extra clearance to prevent binding as the slide comes forward. .
FKS-13 features a 13 coil spring designed for use in 38 Super and 40 S&W magazines between 146mm and 171mm, or in 140mm mags if/when maximum spring tension is desired. This kit can also be used for 9mm Major if you're using magazines without spacers. If you use base pads that extend the tube length beyond 146mm, or have 170mm tubes then you definitely need to run the FKS-13. FKS9-13 is for 9mm Major or 9mm Minor applications when using magazines with spacers. 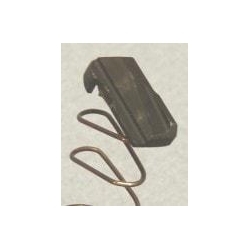 Features a shorter follower than the FKS-11 or 13 to allow for the magazine spacer. 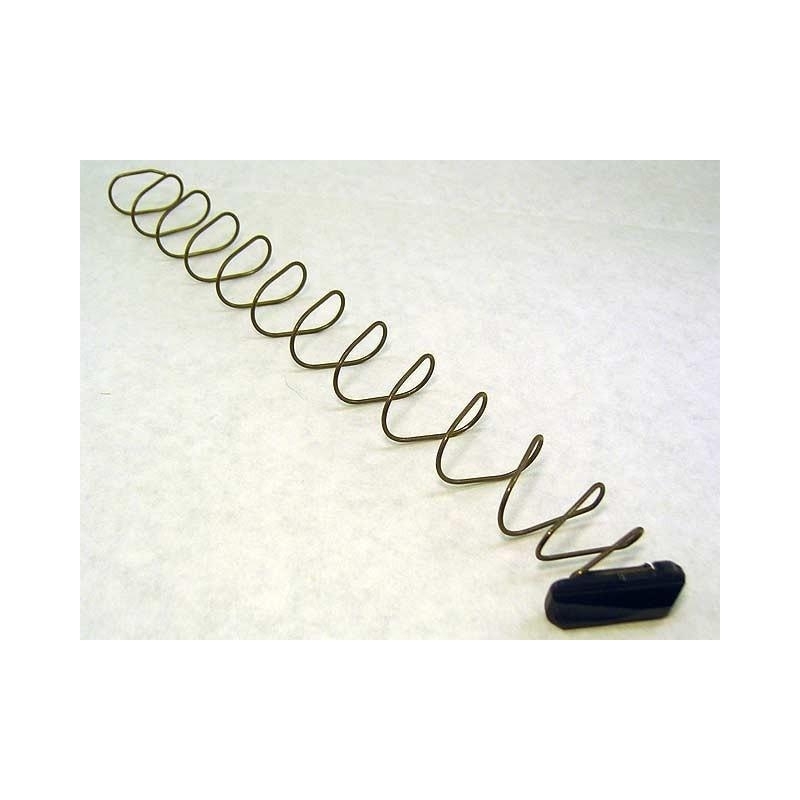 This kit has a 13 coil spring, so again you have the option to run 11 or 13 coil springs depending on your tube length. 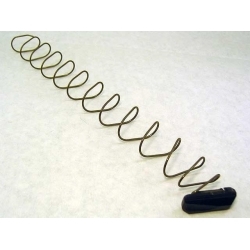 Simply cut two coils off the bottom of the spring if a 11 coil spring is desired. FKS-11 is for 145mm or shorter magazines in 9/38/40, when spacers aren't being used, and maximum capacity is desired. While you will give up a bit of spring tension over the FKS-13, you will get the maximum number of rounds in your mags while still having enough spring tension to reliably feed the gun.